Languedoc, one of the largest wine regions in France, will receive a ‘simpler’ AOC classification from mid 2011. The comprehensive Languedoc AOC remains the base of a pyramid topped by both ‘Grands Vins du Languedoc’ and ‘Grands Cru du Languedoc’. Grands Vins caters for the more famous subappellations such as Minervois, Corbières and St. Chinian. 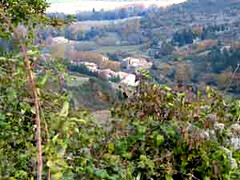 Grand Cru designates the best vineyards, such as Terrasses du Larzac, Pic Saint Loup and La Clape. AOC Coteaux du Languedoc, containing some of the best vineyards in the region, will disappear within five years. The new system will be easier to understand for wine lovers, says the Conseil Interprofessionnel des Vins du Languedoc (CIVL). Until now there were 29 different subappellations and designated vineyard sites in the Languedoc AOC, with a sometimes unclear hierarchy. The hierarchy is now reduced to a pyramid with only three levels.